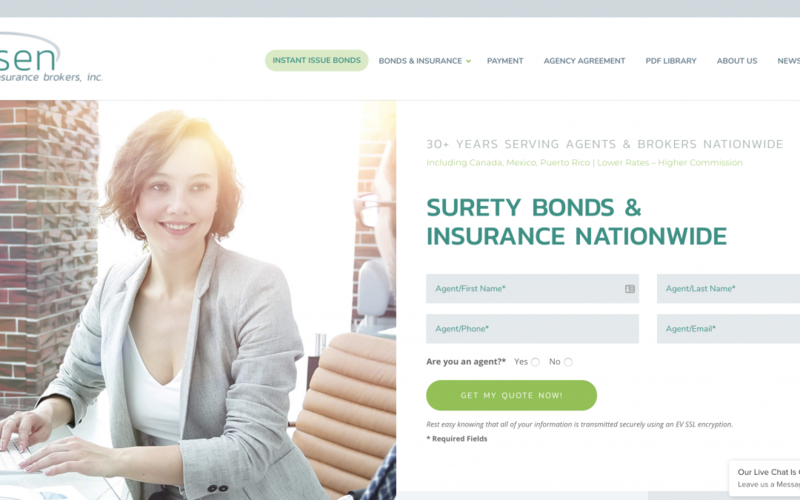 JR Olsen Bonds and Insurance Brokers, Inc was formed in 1984 with its primary objective to provide bonding support to Insurance Brokers and Agents (Wholesale) throughout the United States and the public (Retail). Clients range from the “Mom and Pop” type operation to the Banks, public companies, cities, etc. The client’s Quick Quote Form has a two-step lead capture process, where the lead submits a few small details that are instantly captured before filling out the main form. This allows the client’s staff to follow up with a potential lead if they abandon the form after the first step.